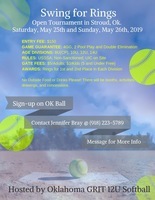 Green Country Softball Magazine > Topics > Open Tournament in Stroud, OK. May 25-26th. 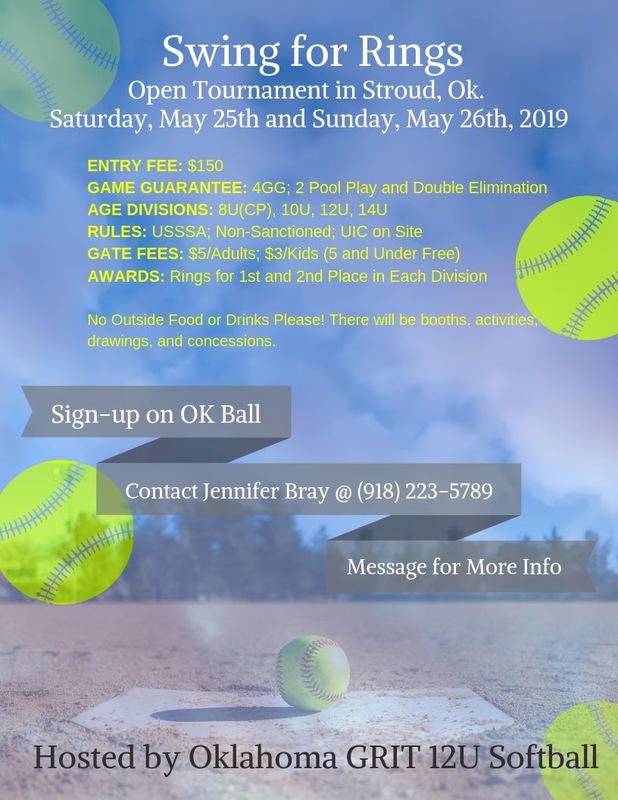 Tournament in Stroud, OK. on Saturday, May 25th through Sunday, May 26th, 2019. Nice complex to play ball, and newly built hotel located a few miles away from the complex. You can sign up here or via OK Ball. For more information, send a text to (918) 223-5789, or email us at: oklahomagrit@outlook.com. Deadline to enter is Monday, May 20th, 2019.